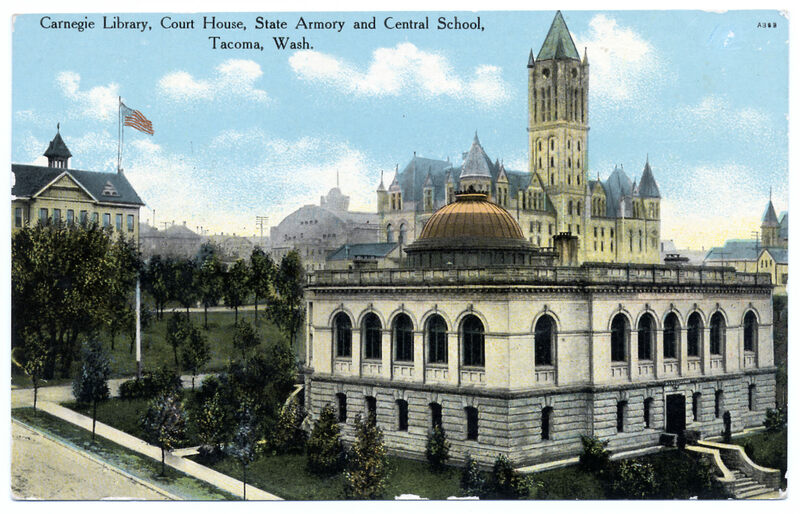 In November of 1939, Paul Roberts and Augusta C. Semmern offered Tacomans something other than turkey from the Thomsen's Health Foods booth at the second annual Show of Progress sponsored by the Tacoma Lions Club. A hungry shopper could buy a large, freshly prepared glass of raw vegetable juice, or take home canned soybeans, raw honey, or "meat substitute". The show of Progress was held in the old Sears building at the corner of Pacific and South 24th. 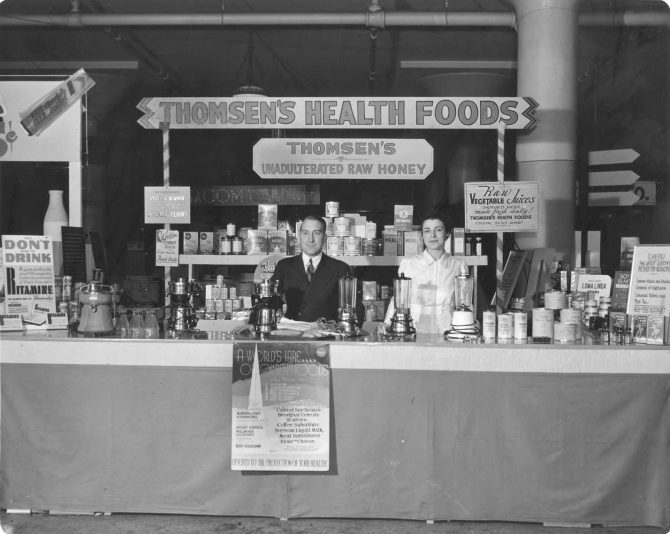 The regular Thomsen's Health Food stand and restaurant, which was founded in 1928, was located in the Crystal Palace Public Market at South 11th and Market Streets.